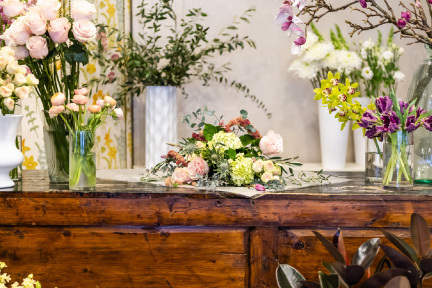 Saville Flowers was started in 1942 by the current owners' great grandfather, Don Saville, with the ambition of bringing beautiful flowers to the people of Evanston. Now over 75 years later in the same location as the day we opened, Mark Jones is proud to be pursuing the same sentiment and carrying the legacy into its fourth generation of family ownership. The aesthetic of Saville’s honors classic European floral design with a touch of the extraordinary and unique. 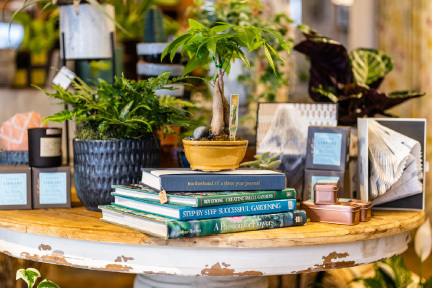 They strive to create a feast for the senses in every sophisticated arrangement and bouquet that leaves the store, incorporating a lush mix of textural foliage amongst our unusual blooms. Mark and his team are always up early searching the flower markets for the freshest blooms to be sure our vintage cooler is stocked with an impressive assortment of cut stems. In the boutique, the experienced staff is always eager to help customize a thoughtful hand-tied bouquet or fresh arrangement in one of the unique, decorative vessels. 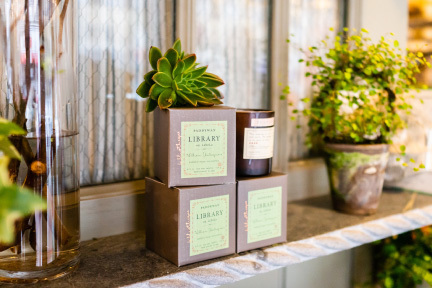 Being a cornerstone of the Evanston community, Saville Flowers also carries custom home décor pieces along with a variety of unique greeting card and candle lines.